User offboarding: How to end relationships with your users! There’s a ton of great content out there on how to onboard new users, how to treat them well, and how to make sure that they understand your product, its benefits, and become paying customers. However, there’s less information available on how you should treat your users who want to end the relationship with you. 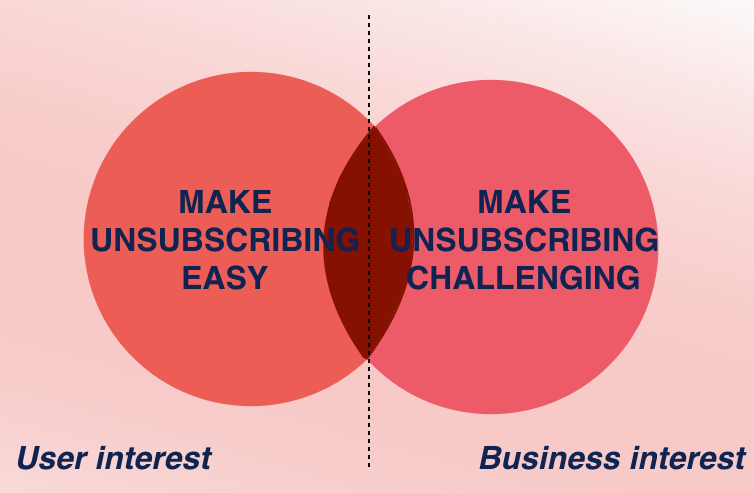 We at Usersnap looked into the topic of user offboarding and provide you with the following essentials for how to end relationships with your customers and users. Breaking up is not easy. It’s truly not easy, for both sides. On the one side, you have a person who wants to cancel an existing contract or account. And on the other side, you have a person who wants you to keep using a particular service. Hmm. Not easy as I said. OK. Let’s not panic. Your customer sent you an email or message (or maybe called you) that she wants to cancel her account. Well, nothing is totally lost, right? Or maybe it is?! Well. At this point, you should clear your head and make sure to fully understand her situation. Did your customer express an explicit interest in canceling her contract/account? Does your customer fully understand the consequences of her request or is follow-up information needed? Besides your customer’s account situation, you probably think a lot about this in your current situation facing a customer churn. Should you make cancellation easy or challenging? And what are the results? Before I’d like to give you some tips and insights on the best practices of user offboarding, let me briefly talk about the different types of offboarding. Pausing an account basically means that the user can no longer use the service, and in return doesn’t need to pay his recurring fee. If the user decides to come back at some point, he’ll find everything is still there and he can come back to where he left off. 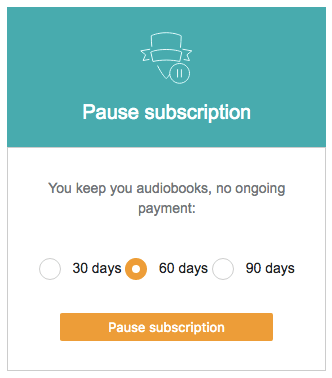 A great example for this model is Audible, which allows users to pause their subscription for a certain period. When you cancel your Premium Spotify account, the consequences are pretty clear. Or are they? You cancel the account, you no longer enjoy the benefits of your account, and on the other hand, you won’t be charged a monthly fee. But is your personal data still stored on Spotify? Or is all your data including playlists, etc. gone (=deleted)? From my point of view, account cancellations are the preferred option in most cases. However, sometimes you might want to delete your account, as you won’t return in the future and you’d like to have all your data deleted. In this case, make sure to ask for your account deletion. Most B2B services do this upon request, and some even have a checkout page for that. … that all your personal user information will be deleted. … all user-generated information will be deleted. … you won’t receive any further emails or notifications from that account. 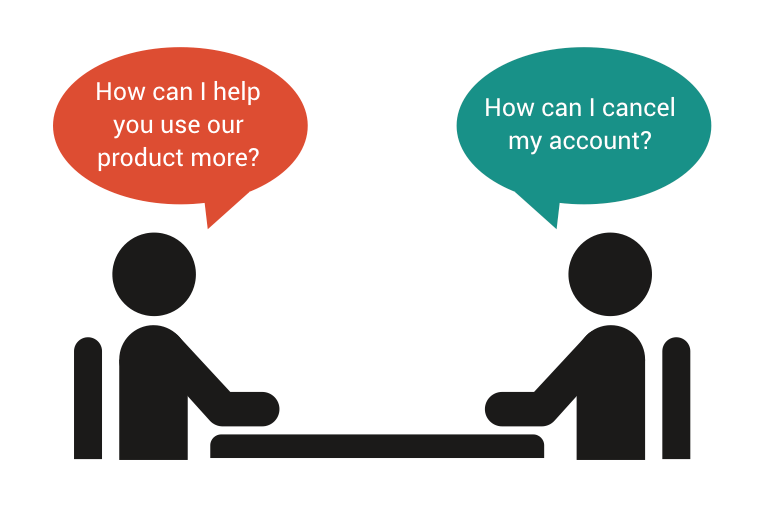 Now, let’s get started with these 5 tips on how to provide a better user offboarding. Tip 1: Information & transparency trumps fear. Many software products and subscription services try to hide the “Delete my account” button. Let me tell you a secret: If I really want to unsubscribe/cancel, I will find it. No matter how well-hidden it is. If you learned the basics of user onboarding, you probably know how to give control to your users, while making them successful at the same time. With offboarding it’s no different. 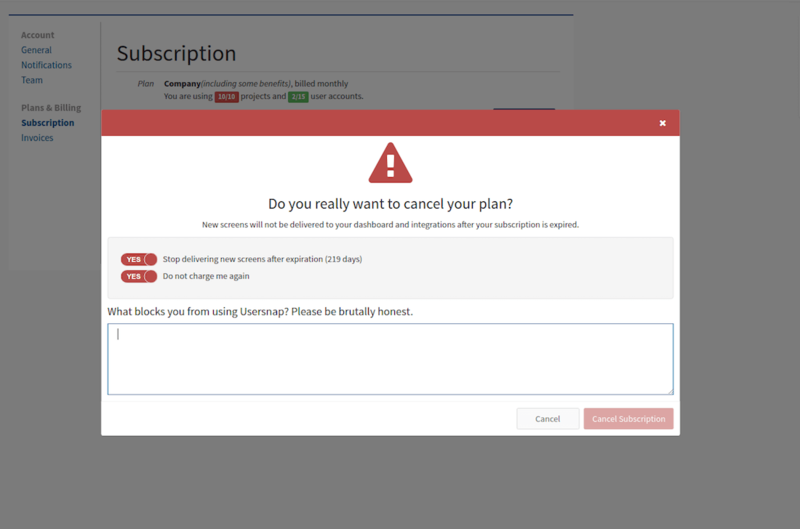 Where and how can I cancel? What are potential consequences of the cancellation? What contract terms needs to be followed? Are there any limitations and restrictions which need to be thought of? Tip 2: Stick with the medium. If someone signs up to your service using his mobile phone, it should also be possible to cancel the account with the same device. 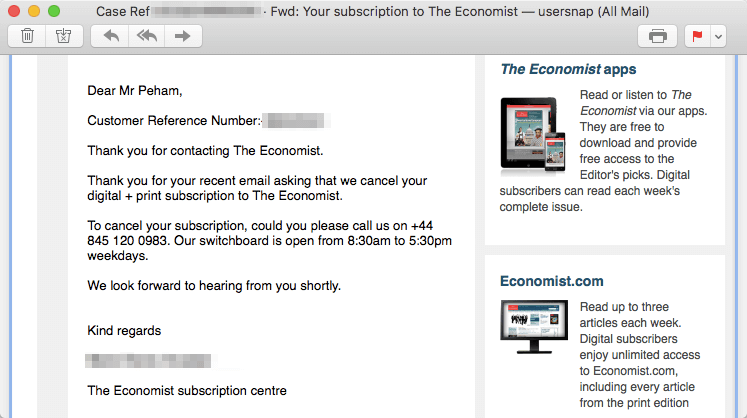 Just recently, I tried to cancel my Economist subscription. Obviously, you can subscribe online to a print + digital offering of the Economist. However, you won’t find any cancellation button on their online interface at all. Their answer: You need to call them. Thanks. But no. It might be a lost customer. However, it’s still a real person who experienced your product, knows your company name and maybe even is (or was) a fan of your brand. The person might be gone for now. But you always meet twice as they say. And at some point that lost customer might turn into a brand ambassador or might even come back sometime in the future. Tip 4: Ask for feedback. Ask them for their cancellation reason. This sounds pretty trivial, however, there are still many software products out there which simply forget to ask this one important question. Because it gives you so much material to learn about your (churned) customers, and how to improve your product. A clear offboarding must be communicated. Here at Usersnap, for example, we clearly state that all screens and bug reports won’t be delivered after the account cancellation. If someone wants to really cancel his account, the consequences are clear. No matter how much we ignore the topic, at some point, we as software providers need to face the challenges of letting users go. And it’s a truly important matter as last impressions matter. When churned customers of yours look back to the experiences while using your product, they will remember the most intense and emotional moments best. And if your offboarding can be on the positive side, you can make a perfect last impression. Have you experienced an extremely positive (or negative) example of user offboarding? Let us know in the comment section below!